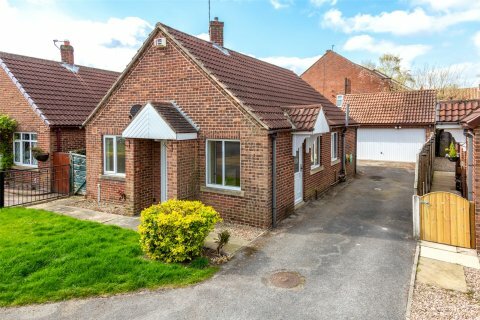 Looking for property in Selby? Preston Baker is one of the most trusted & proactive Estate & Lettings Agents in Selby. Our local award winning team know Selby and surrounding villages like the back of their hands and know how to get things done. You come first - our aim is to make moving easy. Our Selby branch is located in the town centre near the Abbey. Our combined focus on proactive property marketing and superb customer service has been the driving force behind our success to date. Let us help you find your dream home, sell your house, get a mortgage or even how to buy-to-let. We do lettings too! Talk to us about our landlord services including maintenance or find your ideal rental property. We also have a range of services to help local property developers. I am local to Selby and originally bought my first property through Preston Baker in Thorpe Willoughby. I work as the Selby branch manager and have worked here for a number of years so I have plenty of knowledge about the local property market. The Selby area has many hidden gems with plenty of independent shops and stunning countryside walks. I have worked in the Financial Services industry since 2001 and thoroughly enjoy my job. Providing my clients with guidance and the best advice while helping them find their dream home gives me tremendous job satisfaction. Should You Be Investing in Selby Buy to Let?